Our “All-Inclusive” rates offer you the opportunity to enjoy our large selection of grilled meats, traditional Argentinian cold appetizers, wide variety of fresh and grilled vegetables and salads, homemade desserts and drinks. Standard lunch and dinner rates include your choice of a bottle of house wine, 2 draft beers or soda, and a dessert. Your choice of a bottle of house wine, two draft beers or soft drinks. 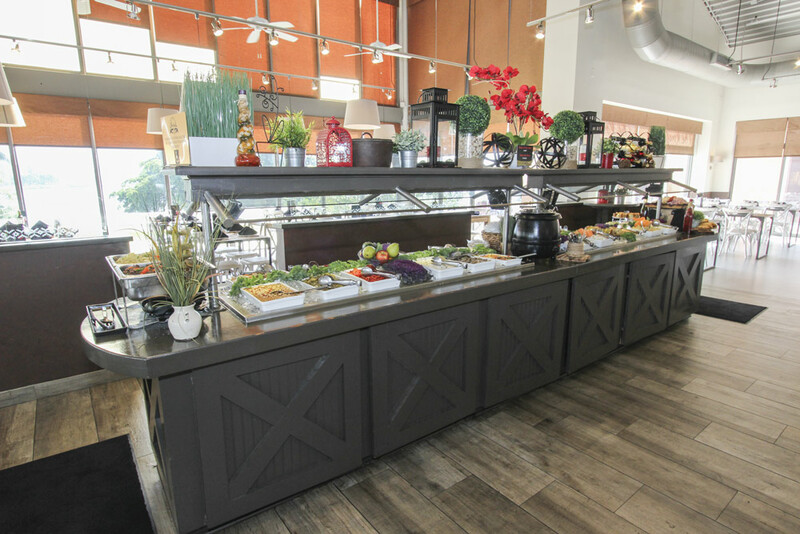 At the self-serve salad bar, help yourself to the array of traditional cold appetizers. Waldorf, Russian Potato, Pasta, Chicken and More Prepare your own salad combining all the fresh vegetables from our salad bar: Lettuce, Tomato, Watercress, Carrot, Beet, Broccoli and more.. The grill (parrilla) is a self-service area featuring our finest cuts of meats ready to eat. Bottom Sirloin , Outside Skirt, Picaña, Top Sirloin, Beef Short Ribs, Grilled Chicken, Chicken Cordon Blue, Pork Ribs , Pork Loin , Pork Pamplonas, Catch of the day. Enjoy our extensive selecction of desserts. Coffee, tea, beers and liquors are available for an additional price.